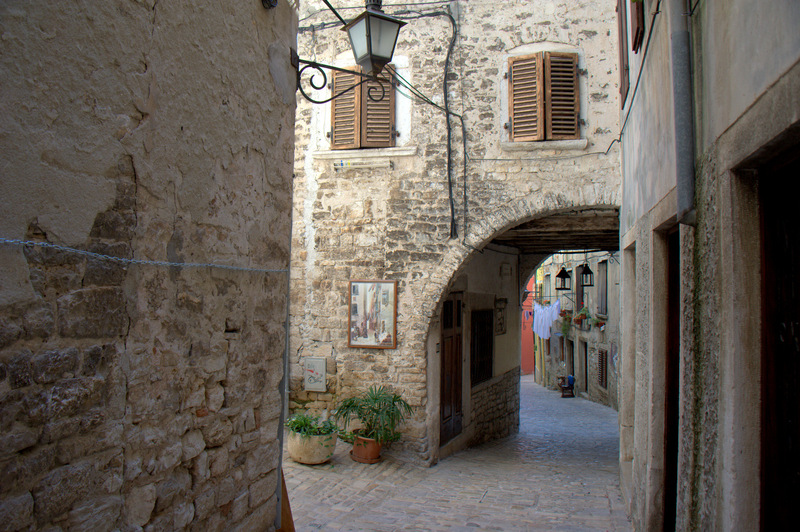 At the moment I’m busy using my words for a new blog, which I’ve cheekily called Stuff Edinburgh, so this post is my time saver way to show you the beautiful Rovinj in Croatia. 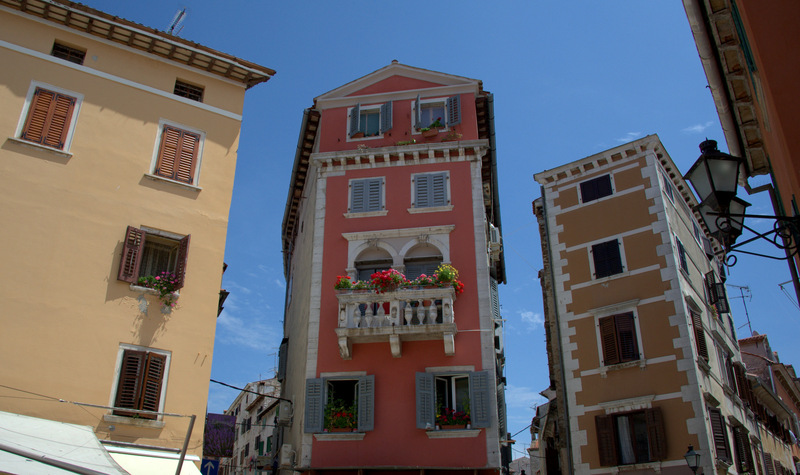 They do love them a shutter or two and a coat of pastel paint in Rovinj don’t they? 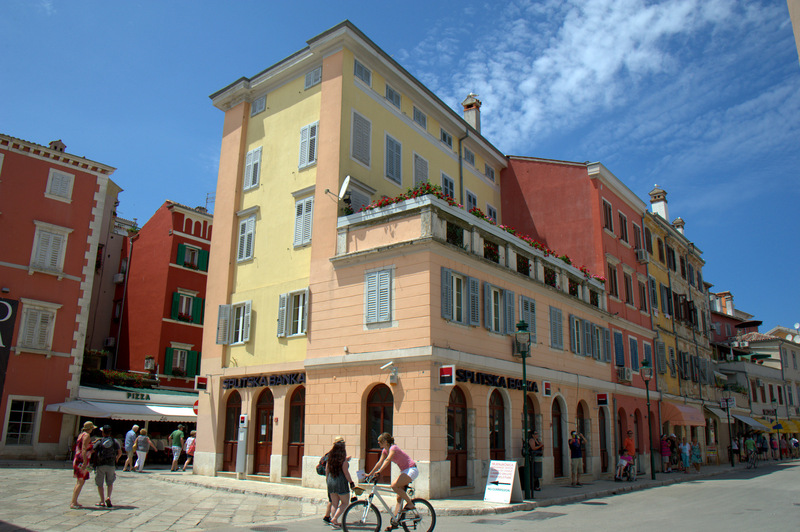 More pastel and shutters at the end of Carrera Street, Rovinj’s main shopping street. 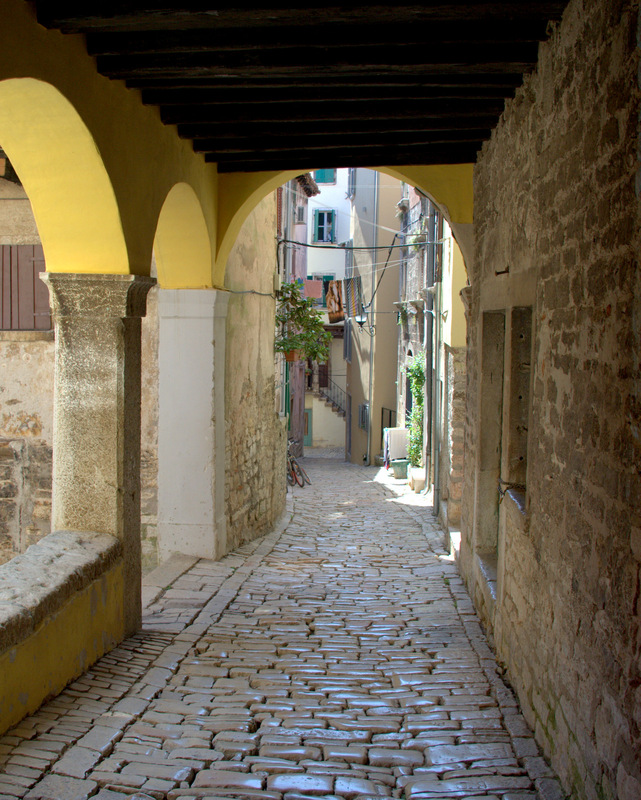 OK I think you’ve got it now… Rovinj is very pastel. I never go past an opportunity to shoot an arch. 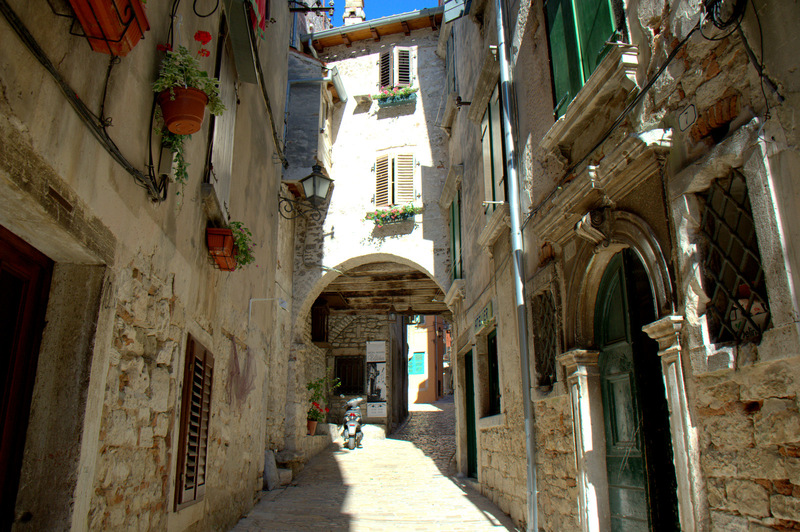 Rovinj’s old town has plenty. Judging from the postcard stands I went by, this might be the most widely photographed street in Old Town. Snap. Oh look, more arches. And a scooter for good measure. 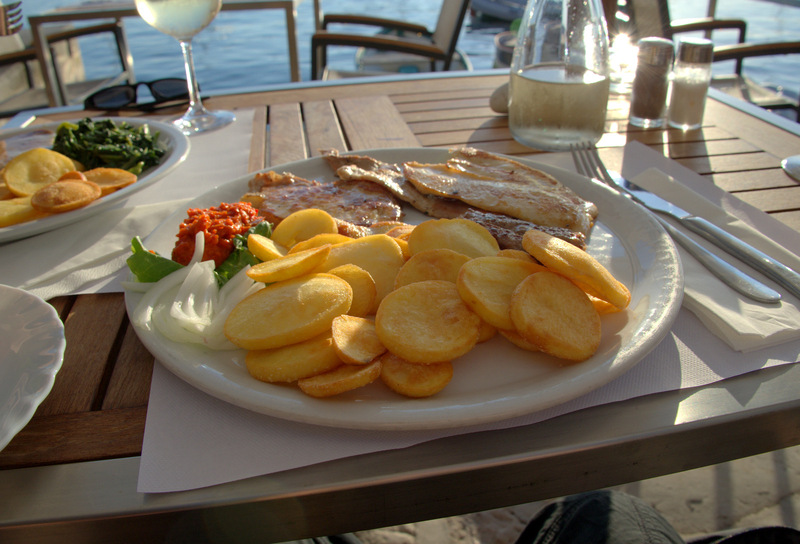 My biggest disappointment in Rovinj was the food. Now I know they have plenty of upmarket places, but I didn’t want to have to spend a fortune on food, so I stayed away. I tried three places and all the menus were virtually the same. Pretty plain stuff, as was the service.